We here at Berger would like to thank everyone who came out to join us at the 2019 Cactus Classic. It was a great weekend and we had a lot of fun visiting with old friends and getting to enjoy the weather. We saw quite a bit of wind throughout the week, but luckily we had decent conditions over the weekend. 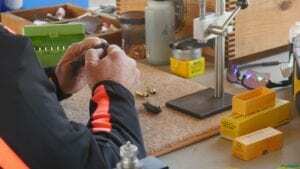 Friday night, our very own Jack Neary gave a reloading class. We recorded the class and will work on getting it edited and posted online in the coming weeks. We have a good 90 minutes of footage that should be able to be cut down into several small videos on specific topics from brass preparation to how to read mirage. I can tell you for one that I felt like I learned quite a bit! The weekend started off with some tricky shooting conditions. With 131 shooters, only Duke Rovarino shot a zero the whole morning, with a .088″ in match 2. 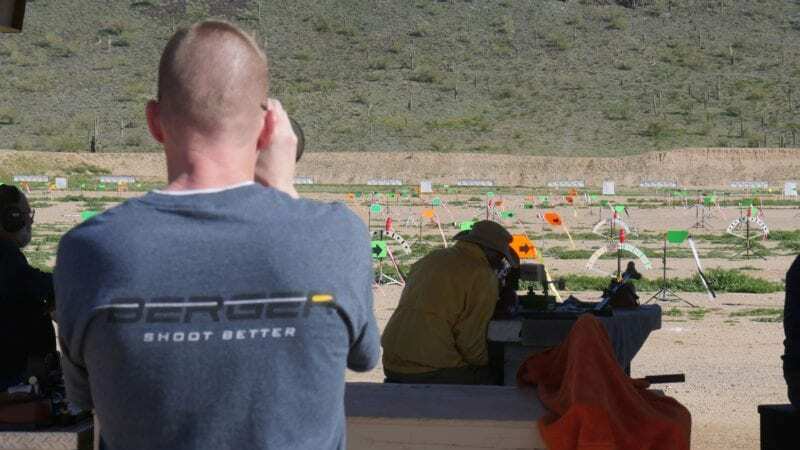 For those of you who are not familiar with bench rest shooting, this shooting sport is all about shooting the smallest group possible. 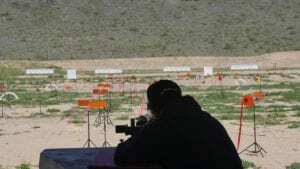 Most competitive shooters would be happy if they were shooting a group smaller than 1.000″ at 100 yards and ecstatic if they were to get 0.500″ at 1000 yards. To be competitive in bench rest you need to be consistently shooting groups that are .150″ at 100 yards. 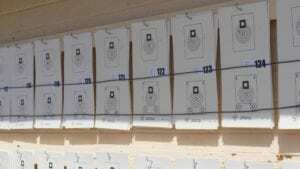 Shooting .300″ groups puts you near the bottom of the list. The way that this competition works, we shoot 5 separate 5 shot group matches of light varmint at 100 yards and 5 matches of heavy varmint at 100 yards one day, then 5 matches of heavy varmint at 200 yards and 5 matches of light varmint at 200 yards the next day. This separates into 3 different grand aggregates (aggs); a light varmint grand agg, a heavy varmint grand agg, and a 2-gun combined grand agg. This weekend, Ed Adams took home first place in the light varmint grand with a 0.2357, with Lester Bruno (of Bruno’s Shooter Supply) in second with a 0.2426, and Robert Seeman took third with a 0.2589. That means that when you combine all of the 100 yard and 200 yard matches together (200 yard match scores are divided in half for aggs), then average them out, these shooters were all averaging group sizes of 0.2357″! Less than a quarter MOA on average over 10 matches! It is truly a highly competitive sport that shows the capabilities of today’s high quality rifles and ammunition when put into highly skilled hands. Ed Adams also took home the heavy varmint grand agg with a .2038, Wayne Campbell (sponsored by our sister company Lapua) took home 2nd with a .2149, and Hugh Williamson took home 3rd with a .2296. In the 2-Gun, Ed Adams took 1st with a .2197, Wayne Campbell came in 2nd with a .2402, and Lester Bruno took 3rd with a .2553. Great shooting all around. One of the biggest highlights of the weekend for me was when talking with Walt Berger, founder of Berger bullets. One of the gentlemen next to him reminded him that several years ago he said, “I’ll be shooting the Cactus Classic even when I am 90!” Well, Walt is now 90 years old, and did in fact shoot the Cactus Classic. Even at 90 years old, Walt finished with a grand agg of .4365. Meaning out of all 20 matches he shot this weekend, he averaged less than a half MOA. Walt’s grandson and Berger’s Plant Manager, David Hamilton, also came out and shot the match this weekend. He finished 54th out of 125 with a .3466. Jack Neary, Sales and Marketing Manager here at Capstone Precision Group (Berger), took 14th place with a .2852. 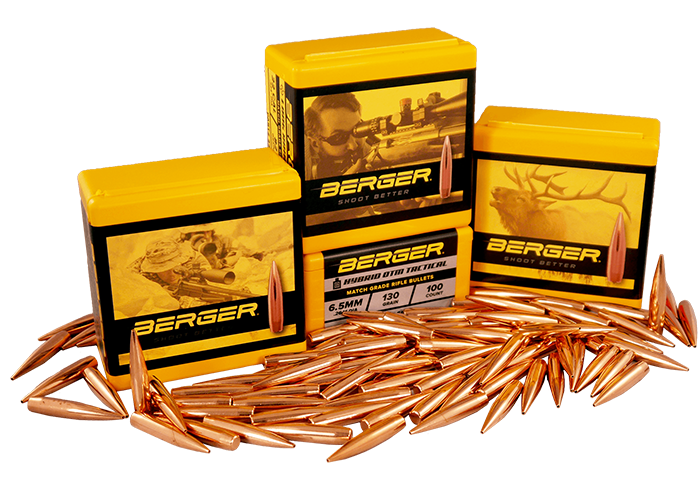 Competitive bench rest shooting is our roots here at Berger, and we look forward to continuing to support this sport in the coming years. 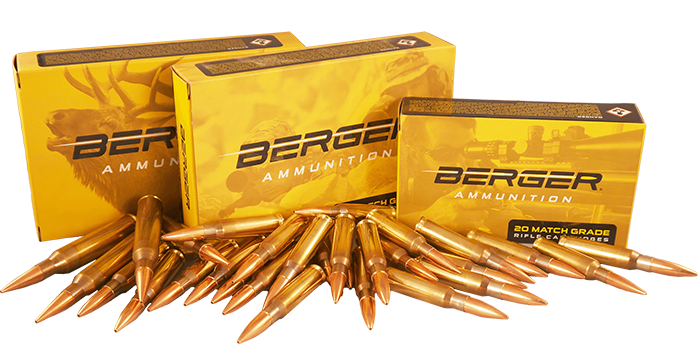 This discipline truly shows off the capabilities of a Berger bullet. No other factory bullet is consistently used in this sport to such success. 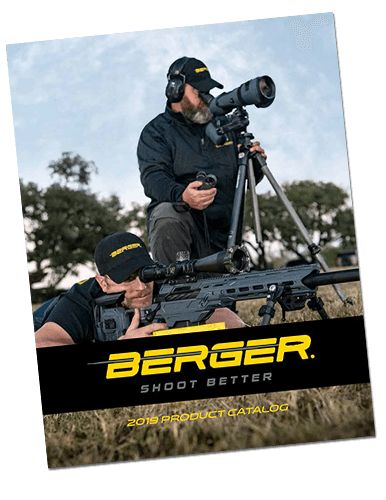 To be competitive in this sport you either need to be shooting a Berger bullet, or you will be using a custom bullet which is more than likely made using our J4 precision bullet jackets manufactured right here in Mesa, AZ feet away from our bullet machines. We wanted to thank Matt Schwartzkopf and the Arizona Bench Rest Shooters for putting on such a great match. We are proud to be the title sponsor and look forward to continuing our support in years to come. Full results for the 2019 Cactus Classic can be downloaded by clicking here.